Arnold Jewelers has a full-service watch repair department. 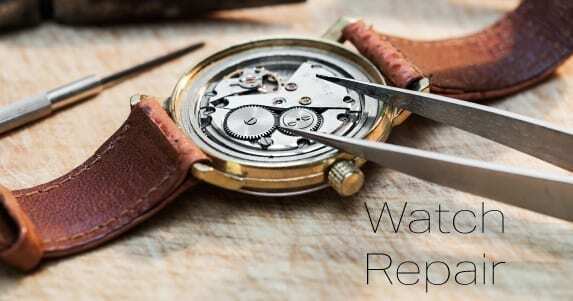 All repairs and servicing are done in-house by our watch experts. So whether you need a battery, links taken out or full servicing we’ve got you covered. We service all major luxury brands including Rolex, Patek Phillipe, Movado, Omega, Panerai, and more. Our services include preventative maintenance, cleaning, links added or removed, battery replacement and repairs. Largo residents will benefit from Arnold Jewelers watch repair solutions. Our craftsmen can repair any type of watch, including makes such as: Rolex, Patek Phillipe, Movado and more. Please fill out the below contact form for your next watch repair solution from Arnold Jewelers.